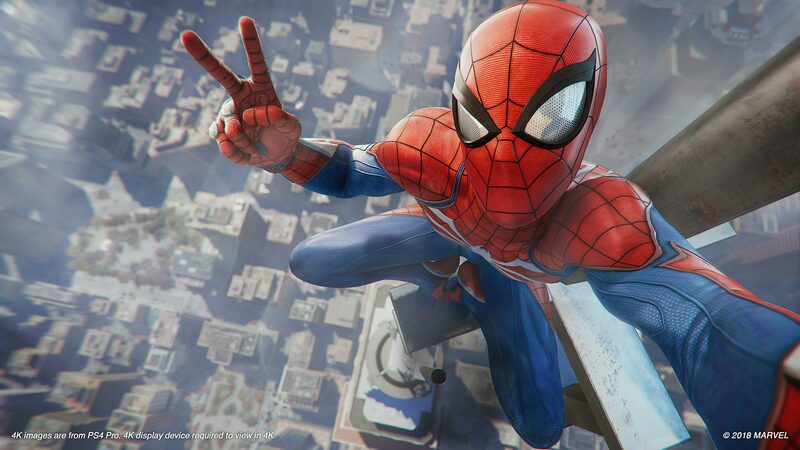 Spider-Man game news: Can’t pre-order for DLC costumes? No Problem! If you thought the news of the release date for the game Marvel’s Spider-Man was great, it is getting better! According to the video game site DualShockers, Insomniac Games (creator of Ratchet and Clank, Spider-Man and formerly Spyro the Dragon) commented and revealed that the pre-order DLC for costumes will be in the game even if you can’t pre-order. Meaning, if you are unable to pre-order to get the suits like the Spider-Punk suit, you can still get it by playing the game. Yuri Lowenthal (voice actor of anime characters like Sasuke from Naruto) revealed that he will be voicing Spider-Man regardless to any suit. The DLC story “The Story That Never Sleeps”; however, will be available as a DLC story individually. People who pre-order the game from Collector’s or Digital Deluxe will be able to play this three chapter story for free. To those who won’t buy the Collector’s Set or Digital Deluxe, you can simply pay for the DLC separate. Currently, there is no news for a season pass or price of the DLC story.